AMSTERDAM, Feb. 5, 2018 — At Integrated Systems Europe (ISE) 2018, LG Electronics (LG), the global leader in OLED products, will offer optimal vertical solutions adaptable to any business environment such as retail, public spaces and offices. Futuristic, versatile displays including Transparent OLED, Open Frame OLED, OLED Video Wall with ultra-slim bezels and other amazing new products will capture the imagination of ISE attendees. 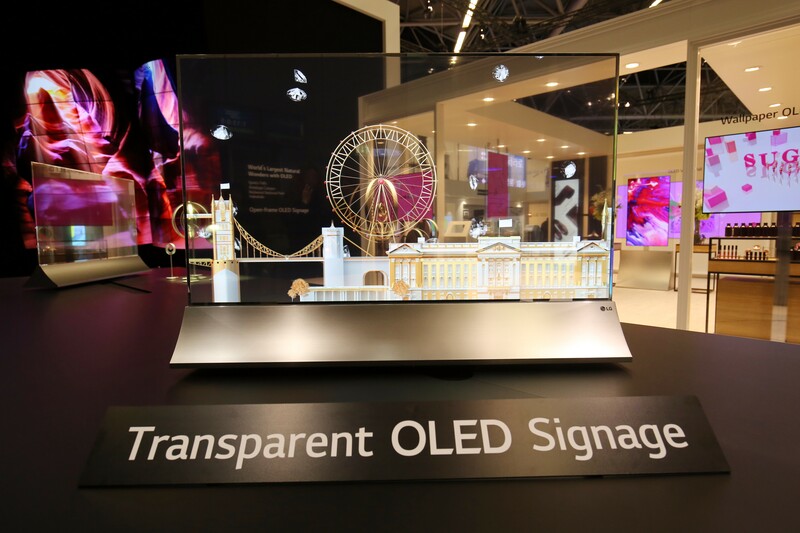 The centerpiece of LG’s ISE booth is its 55-inch Transparent OLED signage, a state-of-the-art product that will have visitors marvelling at the razor-thin bezels and elegant form factor. But the most amazing aspect of this advanced product is its transparent OLED display. 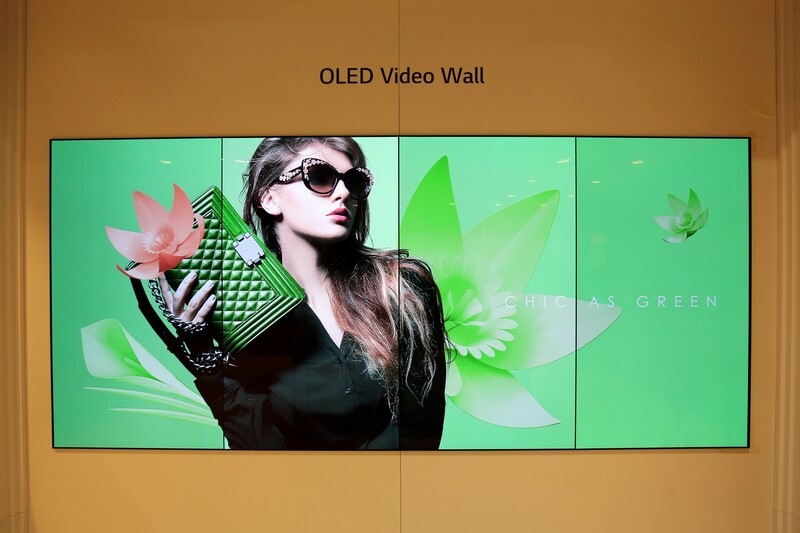 This unique technology is especially impressive in retail environments and art galleries where products can be placed behind video or special effects displayed on the Transparent OLED signage. 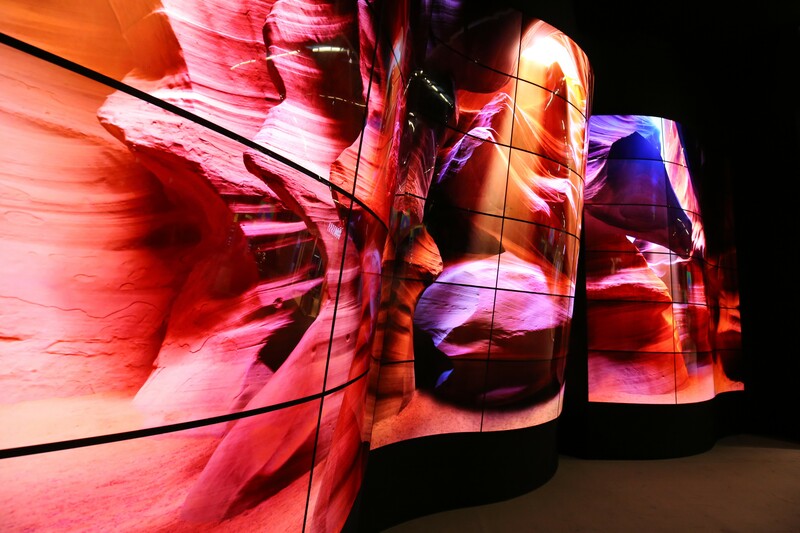 At ISE 2018, LG Open Frame OLED displays will demonstrate their capabilities in the form of the breath-taking Canyon Attractor, comprised of 60 Open Frame OLED displays in concave and convex configurations. These digital screens are ideal for illustrating OLED’s customizable form factor and superb picture quality. 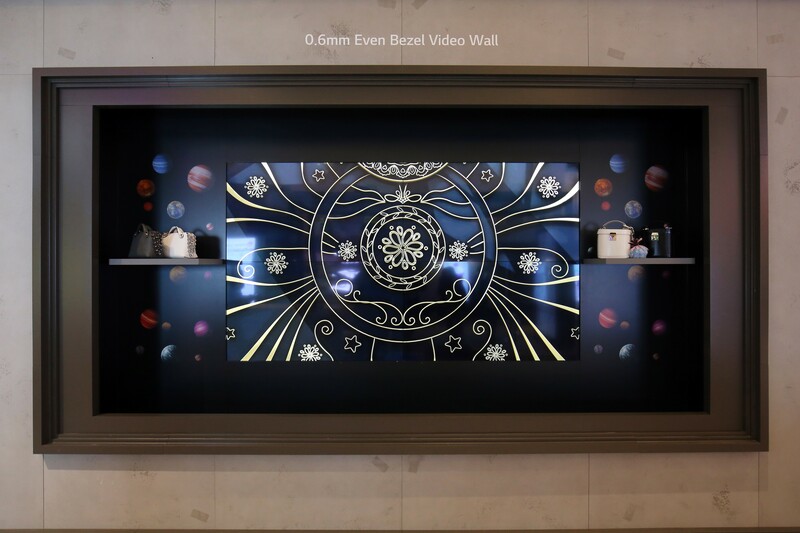 The shape and size of Open Frame OLED displays can be tailored for multiple uses in any industry, such as large-scale video installations and informational displays designed to fit the contours of any commercial space. LG’s 86- and 88-inch Ultra Stretch displays are perfect for conveying directional information or inspection notices in multiple foreign languages with its stretched form. Advanced IPS Interactive Digital Boards (IDB) with UHD picture quality deliver business efficiency with powerful, collaborative tools. LG’s IDB have advanced touch-enabled interfaces with precise writing performance that allows for multiple users to write simultaneously and freely share ideas with intuitive touch technology for maximum productivity and convenience. For an extra touch of class for hotel guests, the award-winning OLED Wallpaper TV delivers an instant upgrade to any overnight stay. The Gallery Mode puts artwork in the comfort of a guestroom with superb picture quality. Hotel management will also appreciate the TV’s Pro:Centric® smart platform, which supports simple editing tools for customizing content according to each establishment’s needs. And in-room IoT solutions based on LG’s Smart Hotel TV means that hotel guests can control wireless curtains, door locks, lights, among others, with the Pro:Centric Direct user interface. Also at LG’s ISE 2018 booth will be a diverse range of key display products including In-glass Wallpaper OLED Signage, Ultra Stretch, High Brightness Signage, 1.5mm Pixel-pitch LED signage and Transparent Color LED film.